New Subaru Crosstrek Vs Impreza; Which Compact Hatch Belongs In Your Garage? The Subaru Impreza 5-Door Hatch vs the new Crosstrek. Which car is a better choice for urban-dwellers? Urban-dwellers looking for an all-wheel-drive compact car have two good choices from Subaru, but which is the best choice? The new Impreza 5-Door hatch comes with the new Subaru Global Platform which translates to multiple improvements. The new-generation model is wider, longer and lower, and it features fresh new exterior styling. It features a roomier interior, a more powerful engine, standard Apple CarPlay, and Android Auto integration, and a suite of new safety technology. The new Crosstrek small SUV also gets the same improvements so which belongs in your garage? Which AWD vehicle is the better choice for you? 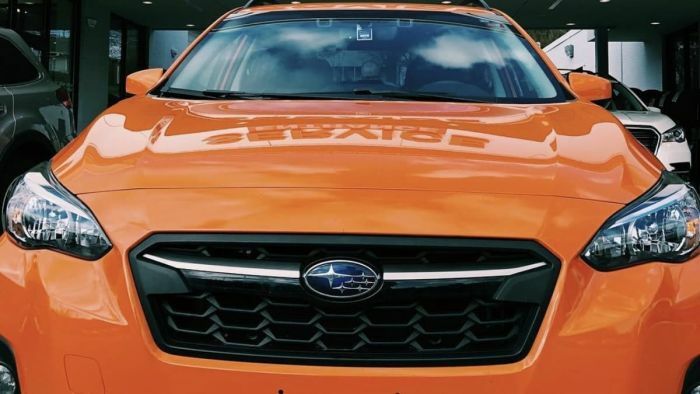 Compact car shoppers may be initially drawnitsImpreza with it’s low price tag ($$19,480) but the all-new 2019 Subaru Crosstrek ($22,870) which shares the Impreza platform, comes with 8.7-inches of ground clearance and offers about a cubic foot more passenger space than Impreza. The new Subaru Impreza hatchback sits a bit lower, so customers looking to take their vehicle beyond the paved road, will want to pick the new 2019 Subaru Crosstrek over Impreza for its greater utility. Both Impreza and Crosstrek come with the same 2.0-liter Boxer engine and standard with Symmetrical all-wheel drive for exceptional traction. Crosstrek comes with an X MODE off-road feature which Impreza doesn’t have. X-MODE can be used for extreme off-road situations, or for helping you get out of a sticky situation in mud and snow. It also features Hill Decent Control that helps maintain a constant speed when traveling downhill enhancing vehicle control. If you won’t ever venture off-pavement, the Impreza will get you around town and you won’t need the extra off-road features. In technology features, the only real difference between the two vehicles is, customers can get 4G LTE Wi-Fi in the new 2019 Subaru Crosstrek, but not the new Subaru Impreza 5-Door. Safety is a factor for customers looking for a compact all-wheel-drive vehicle, and both nameplates offer Subaru’s EyeSight with driver assist features like pre-collision braking, adaptive cruise control, and lane keep assist. The only difference is that it's an option across the latest Subaru Impreza lineup, while it comes standard on the top-of-the-line 2019 Subaru Crosstrek 2.0i Limited. When many urban-dwelling customers look at the new Impreza 5-Door Hatchback and then see the Crosstrek’s extra utility and off-road abilities, many are paying more and choosing the 2019 Crosstrek over Impreza. Both compact hatchback models offer urban-dwellers all-wheel-drive capability, versatility, and utility, so it really depends on if you will be taking your vehicle on weekend excursions to get away from civilization.